Look Who’s Talking… about Ice Warriors! In celebration of Doctor Who’s 55th anniversary, the DWCA is delighted to announce that our final day event of 2018 will feature a special guest – actress Louise Pajo, who starred in Second Doctor serial The Seeds of Death almost 50 years ago! 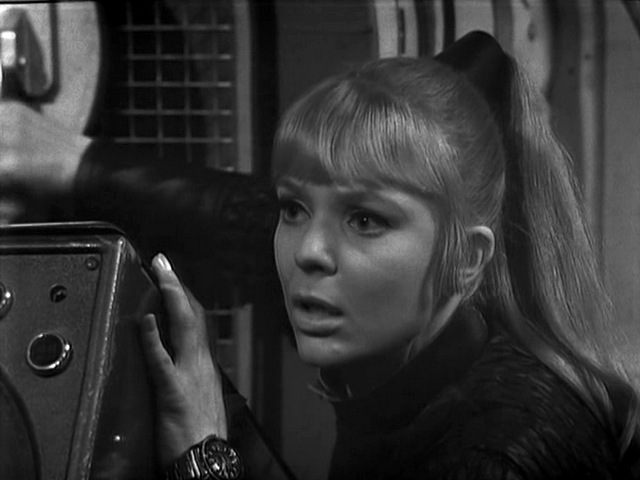 Graduating from RADA in the mid-60s, Louise Pajo appeared in classic UK shows such as The Avengers and UFO in addition to Doctor Who. 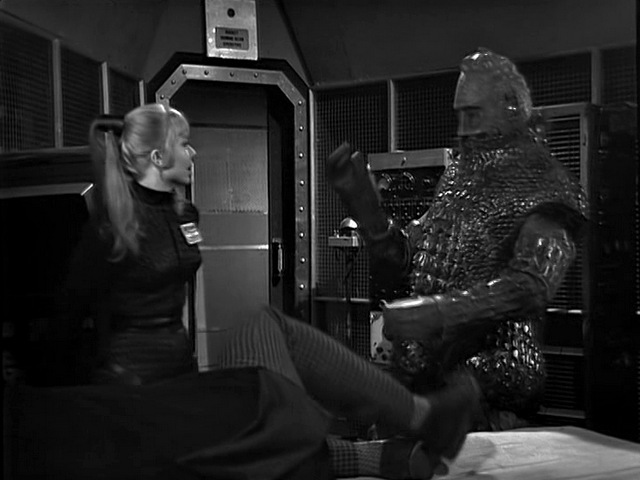 In The Seeds of Death she played Gia Kelly, manager of T-Mat Earth Control, who found herself facing the fearsome Ice Warriors in their second TV appearance. After emigrating to Australia, Louise appeared in top Aussie shows of the ’70s, ’80s and ’90s, including Prisoner: Cell Block H, The Flying Doctors, A Country Practice, Cop Shop and Carson’s Law. We look forward to talking to her about her experiences making television in different decades and countries! There will also be trivia on the day as we hold a Doctor Who edition of The Chase, the quiz show hosted in the UK by none other than Bradley Walsh (Thirteenth Doctor companion Graham O’Brien). Participants will be invited to correctly anwer a series of questions while facing off against a rival “chaser” – and we are very pleased to announce that our chaser on the day will be comedian and Whovians researcher, Pat Magee. Finally, get excited for our anniversary auction, giving you the chance to pick up rare, out-of-print and signed merchandise including books, audio dramas, DVD box sets, prints and more. If you have something you’d like us to auction off on your behalf, get in touch with us at events@doctorwhoaustralia.org – we’d be happy to consider it. We hope you join us as we see out 2018 in style!